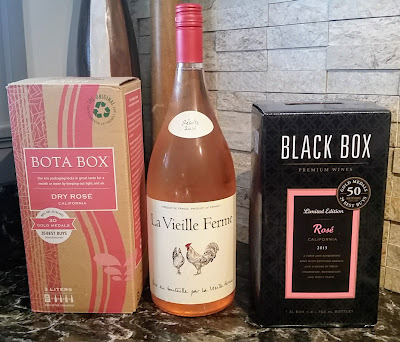 The Naked Vine: Wine Advice for the Rest of Us.™: "To cellar, perchance to dream..."
Wonderful words -- evoking an air of distinction, privilege, and, most importantly, a ready store of really good vintage for on-hand consumption. Realistically, these two words are a fantasy for most of the wine drinking world, and they should be -- especially for those of us who don’t want to break the bank. As you probably already know, wine's natural enemies are heat, light, and exposure to oxygen. If Sherman set the Wayback Machine to the early days of winemaking, someone discovered that wine kept in a cave lasted longer and the flavor often improved over time. Underground, wine is obviously protected from light, stays at a constant temperature, and the stable humidity prevents the cork (or other stopper) from drying out, thus keeping the wine nice, cozy, and unoxidized until brought out and opened. Many of us try to emulate the "cave" with what we have handy -- usually a hall closet or basement. We may even install or build a rack or two to keep the bottles organized. Alas, we're generally doomed to failure. Wine, like a Florida retiree, is extremely sensitive to temperature change. The optimal storage temperature for wine is 55 degrees Fahrenheit. This allows the proper chemical reactions to take place, producing the flavors we love so much. Once a wine gets warmer, the chemical reactions speed up. This not only ages the wine more quickly, but it can throw the balance of flavors seriously out of whack. At a constant 70 degrees, a wine will age between two and eight times faster than at 55 degrees. At 90 degrees, a wine will age between four to fifty-six times faster. If your wine is in the kitchen by the stove for a month in that cutesy little wrought iron wine rack that looks like a French waiter, it can be as if you've had it for 24 years. So -- what do we do to hang on to wine? A few possible options: first, you could petition your local zoning board to let you drill 20 or so feet beneath the foundation of your home, and build yourself a wine cave. That should be sufficiently deep to avoid freezing, while maintaining consistent temperature and humidity. Just watch the sewer lines. Second, you could purchase a wine refrigerator. Serious wine collectors do this -- cheap ones will run you several hundred dollars, but they do an excellent job keeping wine in a proper state indefinitely. You can also rig a spare fridge to maintain a relatively constant temperature (I do this for homebrewing lagers) -- but even then, you probably wouldn't want to keep your Lafite '61 in there. Typical refrigerators allow swings in temperature of 8-10 degrees, which will keep wine in the right ballpark – but for really long term storage, it’s problematic. Third, and most practically, tone down your expectations and drink your bloomin' wine. If you've got a relatively cool, relatively stable temperature anywhere in your domicile -- even if it's not perfect, you can still “cellar” wine. But, if you're like me, temptation eventually overcomes you. However, if you can stay your hand for a year or so, you can work wonders with relatively inexpensive wine – since many of them are shipped to market prematurely (and new vintages can be bargains, since they have no track record), and nine months or a year of aging will improve some wines markedly. Some rules of thumb -- less tannic wines don't cellar as well, so pinot noir, merlot, Beaujolais, etc -- these should be drunk relatively young. Cabernets, zinfandels, shiraz/syrah -- these you can have around for awhile. White wines generally don't cellar well -- but there are a few exceptions which I'll touch on below. Pietra Santa "Sacred Stone" Master's Blend Old World Style Red -- The reference to "Old World" in this overly-nomenclatured wine is to the winemaking techniques of the Rhone valley in France. Sacred Stone is an American version of one of a Rhone red. Many of the wines made in the Rhone are blends -- syrah is usually the backbone, but there are usually other grape varietals floating around in the mix. There’s an appellation (WineSpeak for “type of wine”) called Chateauneuf-de-Pape (French for "Chateau of the Pope" -- this wine bears the papal seal on the bottle) that can contain up to 14 different grapes. Rhone reds are very earthy, and a wine drinker first trying one of these can be knocked back rather harshly by what could be termed a "mild nose of old armpit." Many Rhone wines taste best to me with a little decanting. The Sacred Stone is a Rhone wine with a dose of deodorant. This wine is a blend of Syrah, Grenache, Zinfandel, and a few other grapes. It has a nose of earth, plums, and pepper. When you taste it, the Zinfandel comes at you very strongly. There's a powerful fruit flavor with surprisingly mellow tannin considering the nose of the wine. The finish is peppery with a nice lingering fruit flavor and warmth. I think you should be able to find this one for $8-11, and you could certainly (as suggested by the label) cellar this one for a year or two and end up with what could be an extremely good value. Any kind of earthy vegetables, meats, shepherd's pie, etc. would be absolutely top notch with this one. I think this is a fantastic wine for the price. Root:1 2004 Cabernet Sauvignon -- The official wine of The Wizard of Covington, Root: 1 is another South American entry into the world of inexpensive wines. I focused on Chilean sauvignon blancs, but their growths of cabernet continue to improve year by year. However, this particular wine has a bit of history. As I mentioned in the earlier installment, Chile is the only place in the world where original ungrafted (never attacked by phylloxera) European vines grow. Root:1 is a product of these original "old vines." If you're a fan of fruitier -- rather than more tannic -- cabernets, you'll really enjoy the Root:1. The nose of the wine is dominated by blackberries a little vanilla. The flavor of the wine is cherries combined with berries, berries, and more berries. There are some very soft tannins as you taste it -- they become much more pronounced on the finish, which is gentle, slightly coffee-flavored and dry. The wine is rich, and would stand up nicely to sirloins, grilled mushrooms, and rich sauces of just about any type. It reminds me more of a zinfandel or a blend than a straight cab. While this is a very good wine now for $10-14, with aging of six months or a year, the berries and tannins should balance nicely, and more complex flavors will undoubtedly come forward as it becomes more "cabby." Mirassou 2005 Riesling -- Under most circumstances, there's no way in tarnation you'd want to cellar a white. Most whites are made to be drunk young – usually within a year of release. The basic idea for most whites: buy, chill, open, serve, repeat. However, there are a couple of varietals you can cellar if you wish, and, in some cases, you'll end up with a superior product. This offering from Mirassou is case in point. This is a wine that was probably released a little too early for its own good -- but vintners that mass produce wine generally don’t worry about finding the perfect release date for a wine. They are on a schedule, after all. The typical sweet fruit nose of a Riesling isn't as pronounced with this particular vintage. The taste is a little sharp on the tongue, almost spicy -- and a little dry for a "regular" Riesling (not to be confused with a "dry Riesling"-- which is another animal altogether, and we’ll touch on that next week). The finish is much more similar to a gewürztraminer -- again, a little spicy, although there are some nice pineapple undertones. The fruit, though, doesn't stand up as much as it should. If you put this one away for a year (after buying a few at $7-8), the spicy nature will surely mellow, and the fruit will become more pronounced, leaving you with an excellent wine to pair with either fruity desserts (apple pie would be outstanding) or spicy food like Thai. Until next time, drink no wine before its time…unless of course you do. That reminds me: I gotta stop by my wine store tonight. Maybe, I'll get some RDLR as well.